Washfast Acid Dyes: 1 oz. will dye 4-8 lbs. Use with white vinegar or with citric acid. Also known as Nylomine Dye for - Silk, Wool, Angora, Mohair, Soy Silk & Nylon. We stock the colors available for selection above. See color card below to view colors. 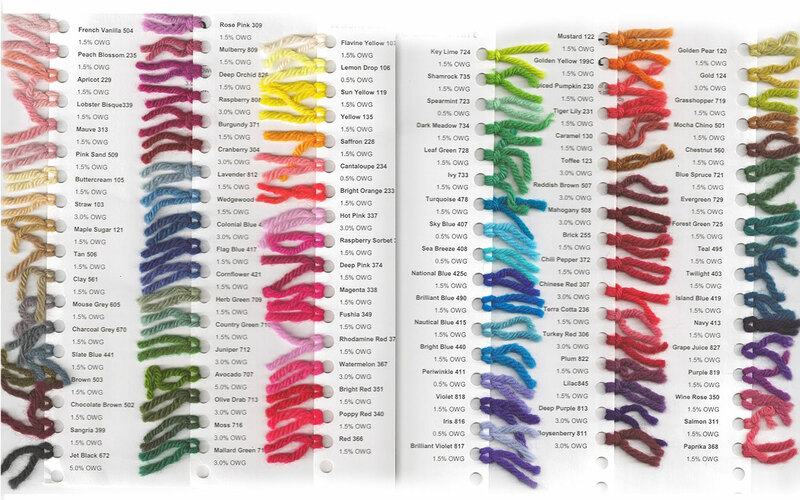 Available Color Card shown below with dyed samples of wool yarn. Choose "Color Card" above to purchase. These dyes are potent, work well with silk, wool, and mohair a lovely selection of colors.